ISIS Group Australia, is encouraging organisations with a national presence to understand and explore the benefits of engaging a contractor on a national scale. 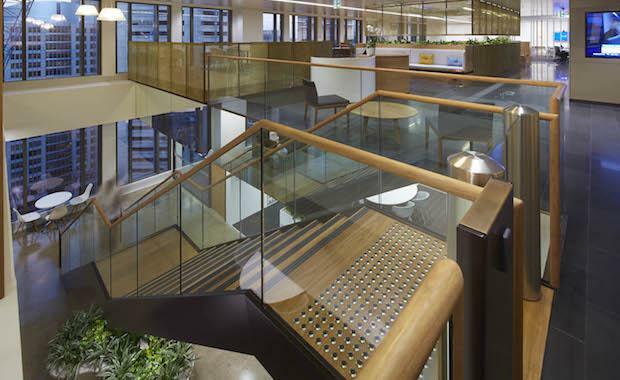 Collaboration, consistency, value engineering and a single point of contact all contribute to the success of multi-state fitout and refurbishment projects. A truly national company requires a quality and consistent approach across all of their workplaces. Involvement in projects nationally allows a construction partner to ensure consistency and the same level of quality, regardless of geographic location. ISIS understands the restrictions of operating on a state-by-state construction basis. This method treats each state as a silo, limiting collaboration and encouraging individual states to start the construction process from scratch with each project, negatively affecting both time and cost for the client. Engaging with a national contractor like ISIS allows and promotes shared learnings across states, and results in the collection and application of substantial contractor knowledge in terms of project scope and the client’s operational needs. Long-term client relationships result in a deep understanding of the way a company operates, their values and their key business requirements. This crucial knowledge allows a contractor to deliver projects with a smart approach and with less impact to business operations during the construction process. ISIS’ value offering is only increased across a national scale, with an ability to offer a cost effective and market competitive service by utilising their extensive national supply chain and passing on the benefit of procurement influence. TAL, has been a key strategy for establishing a strong foundation and achieving continued success in a tightened market. These relationships are mutually beneficial, with ISIS enjoying a competitive advantage and the client receiving tailored service and large scale benefits across their national property portfolio. This article has been prepared in partnership with ISIS and TheUrbanDeveloper.com team.